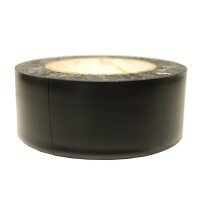 Heavy Duty PVC Pipe Wrap Insulation Tape- Campbell International Specialist Tapes. Application: A corrosion and abrasion protection for underground or above ground pipe work. Prolongs pipe work lifespan and helps eliminate frequent maintenance, i.e. painting, galvanizing, etc. Kicking strip for washing machines, freezers, fitted units. Eyelet patches for tarpaulins. Product: Plasticized PVC sheeting coated on one side with a pressure-sensitive adhesive, the latter consisting mainly of resins and rubber-like materials. tapes contain as a PVC stabilizer, a small percentage of a water insoluble lead compound.